How Long Does Inpatient Clonidine Rehabilitation Last? Drug rehabilitation centers see an increase in the number of patients seeking treatment for prescription drug abuse every year. Some patients abuse clonidine, which doctors use in the treatment of a number of medical conditions including high blood pressure, panic disorders, anxiety disorders and ADHD. The medication affects the receptors in the brain that process pain, which can reduce pain and make you feel slightly relaxed. If you need help finding a clonidine rehabilitation center, call 1-888-341-7785 for help or to get more information. Residents live in an inpatient facility, which keeps those patients away from negative influences and temptations. An outpatient clinic only requires that the patient attends sessions or classes at the center; he or she returns home at night. You should look at your life when determining if you use the medication, abuse it or have an addiction. Those addicted to clonidine cannot stop taking the medication without exhibiting some side effects, also known as withdrawal symptoms. The frequency with which you take the medication can tell you a lot about your problem. If you use the medication more than the doctor prescribes, you are misusing or abusing the drug. Abuse occurs when you lose control over your clonidine usage. If you have a dependence on the drug, you should seek help from a clonidine rehab center. Dependence is something that you cannot control on your own, and it can occur because you have an increased tolerance to clonidine. You increase the dose to get the same effects and discover that you cannot stop taking the medication. One of the questions that people ask before attending a clonidine treatment center is whether they will have any privacy. Most centers give you some degree of privacy, sometimes in the form of a private bedroom. Even centers that have shared bedrooms and communal bedrooms still give patients some privacy. You might get the chance to take walks around the grounds, go on day trips into town, or visit relatives without doctors or nurses standing nearby. The facilities are obligated to keep your personal information confidential. It will not be given to anyone without your consent. Most clonidine rehab centers have programs lasting for a period of 28 days to 90 days or longer. Those who need more help than a short program provides can stay in the center for up to a year. The most common program length is 28 days. The early days of the program focus on helping you withdraw from clonidine and battle any withdrawal symptoms that you experience. There are also weekend programs, in which you live at home during the week and return to the treatment centers on the weekend. 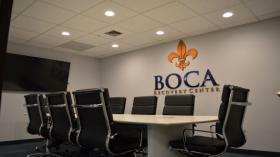 If you need more information on the duration of treatment programs, call 1-888-341-7785. Clonidine rehab centers offer multiple stages of treatment. One of the first stages is the intake process, which is similar to the intake process at any hospital. You meet with a nurse, who takes your vital statistics, and you meet with other staff members for a tour of the facility. Once you finish checking in and find your room, you begin the detox stage. Most clonidine treatment facilities follow detox with addiction therapy and courses that prepare you for your life at home. You can even arrange for extended care if you worry that you will need additional support when you get home. If financial problems prevent you from seeking help for your clonidine addiction, you can still find methods of paying for your treatment. Many clonidine rehab centers offer multiple payment methods, including payment through insurance and payment plans. 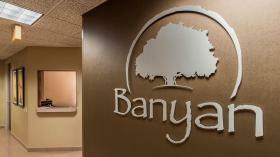 These programs assist you in paying for your treatment and getting the help you need. You should travel for rehab if you feel like your neighborhood isn't conducive to your recovery. Living in the same area can potentially endanger your recovery because you find yourself confronted with situations, places and people that remind you of your drug use. Experts refer to the process of moving to a new area as geographical relocation. 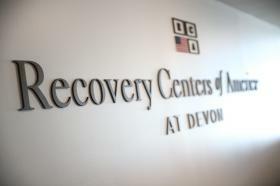 When professional duties are deterring you or someone close to you from looking for care for a illicit substance use problem or behavioral addiction, executive rehabilitation treatments will be invaluable. By pairing top-rated illicit substance and behavioral addiction treatments with the freedom of occasional laptop and mobile access, a businessman or woman can achieve recovery while remaining attentive. Frequently, fine substance and behavior treatment facilities furnish the top-shelf amenities one would normally expect in exquisite hotels, with your health and well-being being the areas of focus. From housekeeping services and in-house massage therapy to 5-star chef-prepared meals and fine linens, you can get the top-rated drug, alcohol or behavior treatment for yourself or someone close to you while taking it easy. If you need a hand in looking for the best-rated luxury treatment programs for Clonidine addiction, call our hotline free of charge at your earliest convenience at 1-888-341-7785. After you leave a clonidine rehab center, you have a chance to put what you've learned to use in the real world. The treatment you received will help you handle stress without relapsing. You might think that sending someone to rehab is the first step in getting help for that person. The first step actually involves the person asking for help or admitting that he or she has a problem with clonidine. Those who seek recovery voluntarily have a better chance of getting clean than those who do not admit to the problem. Once you leave the treatment center, you are not free and clear to begin leading your old life again. Aftercare is an important step in any clonidine treatment program. According to Benjamin A. Levensen and Health News Digest, one of the top reasons why addicts relapse after rehab is because the patients do not have a strong support system. When you leave a clonidine rehab center, you should look for aftercare options in your area. If you live in the same city or area where you attended rehab, you can often find aftercare options available through that program. This might be something as simple as having your counselor call you periodically to touch base and discuss your recovery. You might attend a 12-step program, which matches you with a sponsor who is clean and sober. This sponsor is available whenever you need to talk, and you can contact him or her if you feel tempted to use clonidine again. Whether you have a long-term addiction to clonidine, or you started abusing the medication recently, you can still find clonidine rehab centers that can treat your situation. These centers have experience working with addicts of different backgrounds, ages, sexes and religions. If you cannot find the right clonidine treatment center in your area, call 1-888-341-7785. Am I addicted to clonidine? In addition, you might find yourself constantly thinking about the drug. What are the long-term effects of clonidine abuse? Using clonidine for a long period can result in several side effects, including hypotension, lightheaded feelings, confused thinking, rash and overdose.